Trust the largest, most reputable towing company in the industry. We’re here to assist you as much and anytime you need it. One Membership applies to ALL recreational boats you own, borrow or charter! Call toll-free, day or night, seven days a week for towing assistance. We have the largest recreational Marine Dispatch call centers stationed strategically on both the Atlantic & Pacific Coasts! Service includes Fuel Drops and Battery Jumps. The cost of fuel is high enough without having to pay someone over $150.00 an hour to drop it off. We’ll pay up to your selected service level or choose Unlimited and let us pick up the whole bill! (minus fuel costs). 100% payment for soft ungroundings, up to the towing service level you selected. Salvage and salvage ungroundings are provided for by a Marine Insurance Yacht Policy. BoatUS offers the largest number of ports (300) and available Towing vessels. Over 600 approved boats waiting to assist you around the clock. 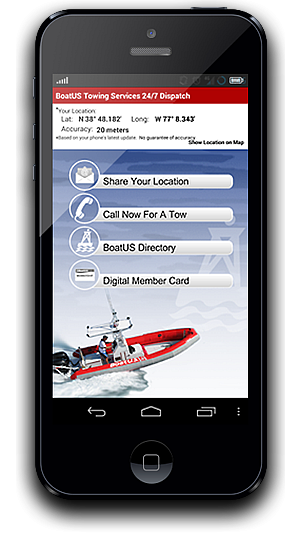 Members are required to use the services of approved BoatUS Towing Service providers unless otherwise authorized by the BoatUS 24-hour dispatch center. All towing companies are independently captained, licensed and insured. Complete service (100%) from a breakdown at sea to your port of choice, up to the towing service level you’ve selected. 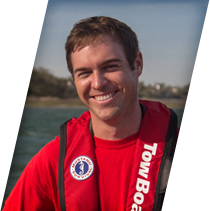 All BoatUS Towing Service Providers have signed contracts with BoatUS to provide a standard of service to its Members that is second to none. All USCG Towing Endorsements, complete insurance coverage, licenses and standards and practices are reviewed on an annual basis. Our contractors provided service to over 70,000 boaters last year! 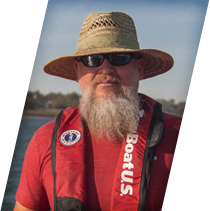 Originally from New Bern, NC, Brooks has been fortunate to grow-up around the water his entire life. His love for the ocean and the area brought him to the University of North Carolina Wilmington where he graduated with a degree from the Cameron School of Business. It’s easy to spot him on the boat when his 100 pound golden retriever, Moose, is acting as his first mate. Having lived in the piedmont and mountains of NC, Matt made the permanent move to Wilmington NC in 1999 to attend and graduate from UNCW. He enjoys spending his time off the water back in the water surfing and fishing. 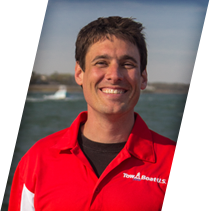 Chances are if you are a boater in the area, you either know or recognize Tom. With fourteen years at the helm of a TowBoatU.S. vessel, he’s assisted thousands upon thousands of boaters in distress. He’s received a special Commendation from the USCG for the rescue of two individuals during hurricane conditions. He has an extensive sailing background and lived on his 31′ Southern Cross for years. Tom is also a fellow Seahawk alumnus holding a degree in Marine Biology. Contact us with any questions or comments and we’ll be happy to assist you.